Similar to when you eat the same foods consistently, your body can reach somewhat of a plateau and the efforts you are putting in will not yield the same results as you are used to. By adjusting the intensity, time and type of cardio on a regular basis is essential to progress. Switch one long run to a high intensity interval training cardio session. If going to spin is your jam, try switching one of those sessions each week for a longer, steady state run. If nothing else, this is guaranteed to make sure you do not get bored with your routine and that you always have the motivation you need to get active! There are many crucial elements of a well rounded fitness routine (balance, flexibility, agility) and so often these crucial elements are ignored. The overall performance of your health and well-being will improve if you take the time and work on some of these areas. 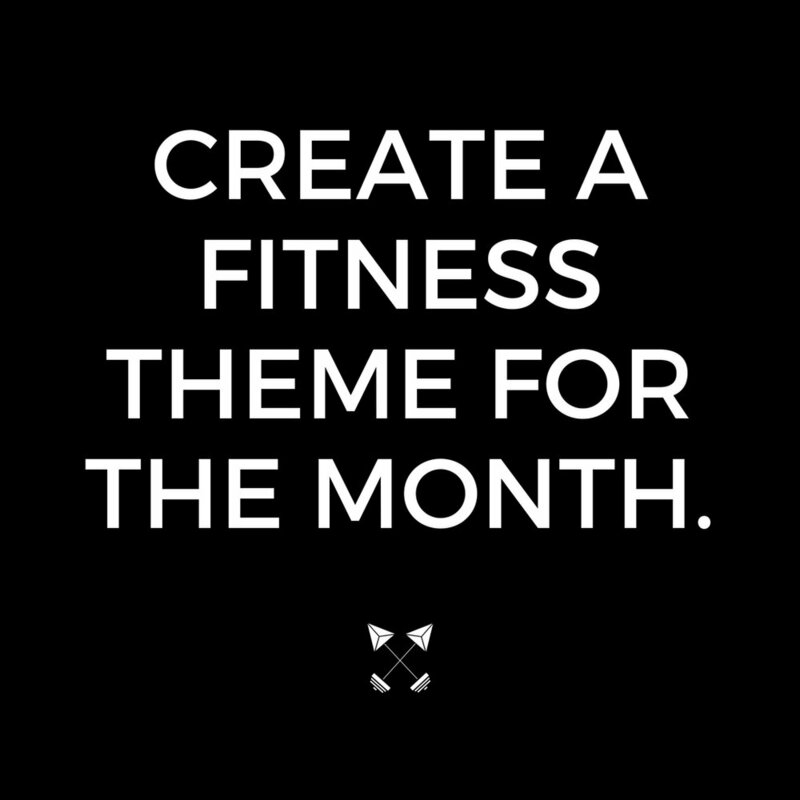 Create a fitness calendar and be specific about what elements you will be focusing on so you can create a routine. You can make this fun by giving each month a name. Flexibility Feb, Agility August.. you get the point. BONUS: If you are feeling extra saucy try adding a stretching routine or going to a new yoga class during the month. This will enhance any normal routine you set up. This is a very specific goal that you will feel motivated to work towards. Setting a goal that has a date will assist you in making healthy choices leading up to the event and you may be surprised at how much you enjoy these new lifestyle habits. The other thing that is so great about signing up for an event, is that you will more often than not incorporate other types of training that you may have never discovered otherwise. Find an event that will challenge you, that scares you a little bit but that makes you excited. Consider an event with a charity that resonates with you so that all of your efforts can be part of a much larger overall plan. The more important thing I would like you to consider here is that often I hear my clients tell me they want to "lose weight". The first thing I will ask is "why?. This prompts the REAL reason to come out which is usually something along the lines of "I want to have more energy", "I want to have more confidence" or "I want to be able to play basketball with my kids". Now, THESE are goals we can work towards. Losing the weight will just be the cherry on top (of the delicious ice cream sundae you can and SHOULD eat). Looking forward to hearing how you go after switching your focus on becoming happier, healthier and stronger than ever!